Want to make money off of your cylinder exchanges and help your customers make money as well? We can show you how! Our facility is capable of reclaiming thousands of pounds of refrigerants on a daily basis. Need to find a reliable, competitively priced company to recover and/or reclaim refrigerant for you? We can help you! Advanced Refrigerant Technologies, LLC is your one stop shop for all of your refrigerant needs. Whether it is refrigerant reclamation, recovery, or refrigerant purchases/sales. We can help you! We have been doing this for years and we will continue to do this! We will now buy your used R-22 for TOP DOLLAR! We will buy ALL of your used refrigerants! 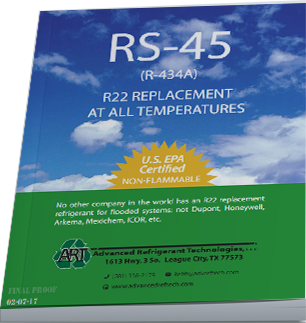 R-22, R-410A, R-134, and more. Contact us today for fast response! Need a quote for refrigerant prices, recovery jobs or refrigerant reclamation?